Snapshot: This article reviews the scope, benefits and limitations of professional malpractice insurance from a nursing point of view. The articles addresses common misconceptions about malpractice, how to avoid litigation, and where to purchase professional liability insurance. Although many nurses rely solely on their employer’s liability insurance policy, it is advisable to supplement this coverage by carrying your own professional liability insurance. While insurance rates areoften quite high for physicians, they are more reasonable for RN’s. You can often purchase a comprehensive policy from a reputable insurer for about $100 per year. See the sub-section “Where to Buy Personal Professional Liability Insurance” below for further details. There is a misperception among many nurses (and other healthcare professionals) that physicians are the only providers who are sued by patients and their families. While it is true that physicians are sued more often than other providers, nurses are sometimes named in suits as well. Even if you have not hadany direct contact with a patient who was harmed, you could still be named in a suit as a member of the patient’s healthcare team. Plaintiffs often use this tactic to extract more money from the hospital or organization should they win their lawsuit. As the complexity of healthcare continues to grow, and as nurses (at all levels of education) continue to gain autonomy in clinical environments, the scope of the nurse’s professional liability will likely continue to grow, as will the potential for lawsuits. Note: Some nurses may have heard the myth that holding personal professional liability insurance will make me a “target” for those who wish to sue hospitals and other providers. The fact is that plaintiffs’ attorneys don’t know in advance whether an individual nurse carries a personal liability insurance policy or not. They therefore cannot ‘target’ nurses who wisely carry such policies. While an employer’s policy does provide ‘baseline’ coverage, all employer liability policies have important exceptions, exemptions, and limitations. (Indeed, many nurses have not even read their employer’s policy, which is worrisome). Your employer may have lower coverage limits than you realize, or in some instances may not cover you at all. Remember: your employer’s liability policy is meant to cover them, not you. While it is usually in your employer’s best interest to represent you and help you “look good” in case you’re named in a suit, your interests and your employer’s interests may also sometimes diverge. This means that if any individual brings a complaint against you, as an individual nurse (rather than as a member of the medical team) to your state’s professional licensing board, you are ‘on your own’ and will not be covered by your employer’s policy. Unfortunately, you need not have done anything wrong at all for your state licensing board to pursue the complaint; in fact, state boards of nursing are legally required to pursue such complaints in order to fulfill their mandate to protect the public from potentially dangerous or unqualified nurses. Regardless of your culpability, you will want attorney representation if you find yourself in this unfortunate situation; personal liability insurance can reimburse you for these expenses, but only if you carry an individual professional liability insurance policy. A second exemption in employer-provided policies is they do not cover any second jobs you take on (so-called ‘moonlighting’). While you may currently have no intention of taking on additional paid nursing positions, many RN’s work three 12-hour shifts per week (or less) and frequently do take on additional work. If you assume another nursing position, your temporary employer will likely not cover you in their policy (or will cover you with lower limits of liability). Your primary employer certainly will not cover you in the event that you make a nursing error with adverse consequences if you are not working at their facility. A third exemption in employer-provided policies is that they do not cover so-called “curbside consults,” which is nursing or medical advice you provide when you are not at work. While you may think you’re a nurse only when you’re at work, you’ll soon find that all sorts of people will ask your opinion on medical matters once they learn you’re an RN. While it may seem unbelievable, you are potentially liable for the adverse effects of any advice (even seemingly casual, ‘friendly’ advice) that you provide to any member of the public, for any reason, at any time. Again, only a personal professional liability insurance policy will cover you in these cases. Should you find yourself named in a malpractice suit (for any of the above reasons), follow chain of command and don’t panic. Your first step should be to report the situation to your nursing manager and the hospital’s risk manager, and to your insurance carrier if you carry a personal professional liability policy. While most suits are either dismissed or settle out of court, this isn’t a time to keep quiet. You need to be honest with yourself and your managers about the situation so that they can support you and help you obtain the legal protection you require. Good practice. The most important way to avoid litigation is simply to practice in a safe and professional manner. As an RN, you should always be a little bit anxious about the wellbeing of your patients and the potential for them to decompensate. While perfection in practice is impossible, the best nurses find ways to continuously learn throughout their careers and rededicate themselves to the wellbeing of their patients every day. Good attitude. A nurse may have superior clinical skills but if she or he possesses a poor attitude, patients will detect this. It’s been said that when we remember an event we often don’t remember what happened or what was said, but we do remember how we felt. Unsurprisingly, patients (and colleagues) don’t respond well to nurses with a poor ‘bedside manner’ who treat their duties as a burden. The way you practice as a nurse is as important, and sometimes even more important, than what you practice as a nurse. Good documentation. You’ve heard it before, but it’s worth repeating: if you didn’t document it, it didn’t happen. In the unlikely event you’re ever accused of malpractice, one of your best defenses will be clear, concise, and accurate documentation that lays to rest any doubts about your clinical judgment. Good documentation shows to others (and helps you remind yourself) of what you did, when you did it, and what data and assessments informed your actions. Get into the habit early in your career of documenting well; see the article “Nursing Documentation” in the “Clinical Resources” section for more information. Note: Nursingonpoint.com has no financial interest whatsoever in offering any of the following recommendations. They are offered solely for your benefit and consideration. Nurses Service Organization (NSO) provides extensive information about nursing malpractice, in addition to quotes on malpractice policies. Visit the Nursing Service Organization (NSO) at www.nso.com. Click on “Quick Quote” on the homepage to receive quotes on malpractice policies in your state. If you want to learn more about how malpractice affects RN’s, be sure to check out the link (also on the home page) to the short series of videos called “Questions About Malpractice Insurance: View Video” offered by Edie Brous, R.N., Esq., President of The American Association of Nurse Attorneys. The American Association of Legal Nurse Consultants (AALNC) and the American Association of Nurse Attorneys (TAANA) are professional bodies that may also be of assistance. Visit the American Association of Legal Nurse Consultants (AALNC) at http://www.aalnc.org/ for more information. AALNC can provide expert witness testimony; local chapters located around the country may also be able to offer you advice and support. 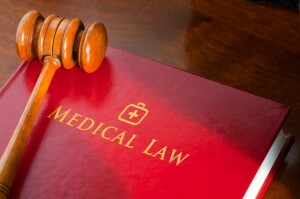 Visit the American Association of Nurse Attorneys (TAANA) at http://www.taana.org/Public/home_page2.asp. TAANA can help you locate an attorney who specializes in representing nurses in malpractice suits, and possesses a wealth of information for RN’s struggling with such suits. You may also contact your local State Bar Association. These organizations may be able to help you locate an attorney who specializes in providing advice and representing RN’s involved in malpractice cases. Every Bar Association in the United States has its own web page. (Attorneys, like nurses, are regulated at the state level). Google “state bar association” plus your state’s name to obtain a link. Once you get to your state Bar Association’s website, search for “RN malpractice” or some similar set of key words.